Power Stop performance brake calipers are made specifically with the enthusiast in mind. 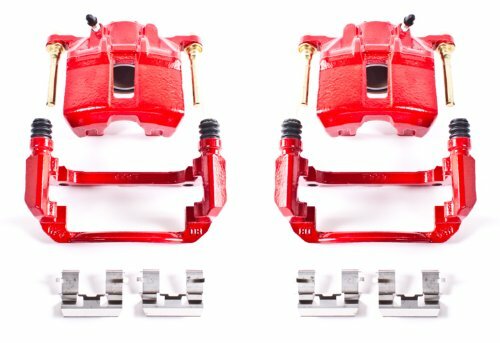 These calipers bolt directly in place of the stock calipers, and they look and perform great behind stock or custom wheels. The caliper and the bracket are remanufactured in Chicago, IL facility and treated to a high-temperature red powder-coating. All new premium boots and seals are used, along with high-temperature silicone lubricant on the caliper pins for long life. Premium abutment clips are included where applicable.